From snowboarding tools to beanies and backpacks, Kidzworld checks out cool, new snowboarding accessories. The Burton Deluxe Starter Kit has every gadget you need for a season of great riding. 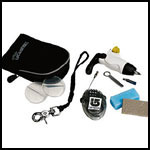 Includes a Bullet Tool for making repairs and adjustments to your board and bindings, a cable board lock, a leash, scrapers, wax kit and carrying case. Easily fits in your boarding bag or jacket pocket. For more info, head to www.burton.com. Keep your snowboard safe this winter with a Bakoda Retracting Cable Lock. Locks up to three boards at a time and has a hard plastic shell that will stay tough in cold winter conditions. 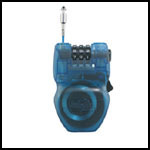 This combination locks retracts easily and fits comfortably in your pocket. For more info head to www.northwave.com. Ride in style and keep warm on the slopes this winter with a sweet beenie from Neff Headwear. 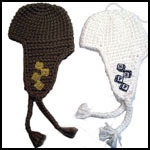 Dozens of funky designs and colors to keep you looking good and your noggin toasty warm. For more info, head to www.neffheadwear.com. 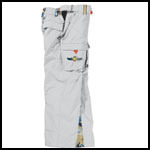 With plenty of padding, extra pockets and added insulation, World Industries' Scratchy Pants are one of this season's sweetest pairs of boarding pants. Has an adjustable waist band, boot gaiters and comes in three cool colors. For more info, head to www.worldindustries.com. Protect your eyes and melon at the same time! 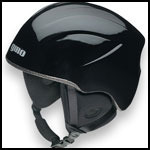 The Ricochet Combo from Giro features a helmet and snowboarding goggles rolled into one. The helmet is light weight and will fit any kids' head well, while the goggles provide great protection against the sun and snow. Comes in black, blue and pink. For more info, head to www.giro.com. Combine your favorite slopes with your favorite tunes with the Giro Tuneups II. 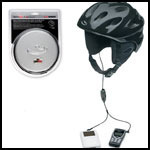 This music system features a set of earpads and speakers that easily fit into your boarding helmet. Hook it up to your CD or MP3 player and your cellphone at the same time - all with a simple switch that fits inside your jacket. Phone your friends to tell them you skipped school to go boarding or crank up the tunes on your favorite runs. For more info, head to www.giro.com.